Justin Timberlake is on fire! 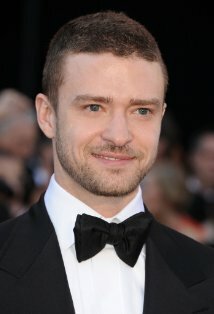 Several successful movies behind him (proving he can hold his own on the big screen), a recent marriage to another Hollywood hottie, a smokin' hot new single with Jay-Z (first music in a loooong time – due to that new acting career), a spot on performance at the Grammy Awards and the announcement of a new summer tour. Hey! what's the matter? Not enough for you? Well, we wouldn't want him to get bored, so how about the latest JT news. He's recorded a song with Marcus Mumford from Mumford & Sons. Ok! You just gave yourself whiplash. I know, I thought the same thing. It's a track for a new Coen Brothers movie - "Inside Llewyn Davis", which Justin is also starring in. I'm gonna put on my "Suit and Tie" and rock both these dudes work with some serious HK remixes on them and others. Make sure you're tuned into In The Mix with HK™ this weekend to hear what I've done to Imagine Dragons - "It's Time", Of Monsters and Men - "Little Talks" and Bruno Mars - "Locked Out of Heaven". And that's just a few of the songs in the first set. I've also got a sonic eargasim planned on Swedish House Mafia, Fall Out Boy, Macklemore & Ryan Lewis, The Script and the new one from Chris Wallace - "Remember When (Push Rewind)". There's gonna be lots of great stuff and you don't want to miss it. So get ready to hit the record button.